Friends always giving me book to read, I really do enjoy reading, it is just so fulfilling, give it a try. 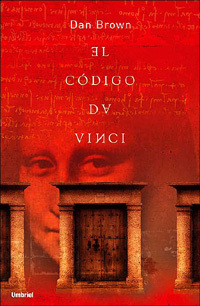 I read this book in Spanish language and I enjoyed it. My house mate was always locked up in her room on her bed with this book, when I call her for a walk she will refuse and say "OMG this book is so enjoyable, it is so intriguing" and then I'll be ignored. I decided to borrow the book when she was done. And, yes I was stuck with it, I read it in a week or less. It is so entertaining and the story so believable, it is fiction. After reading it I decided to order for Angels and Demons by the same author. This book is a mystery-thriller, the story is mostly about the reality of the Christian religion. I will recommend this book, it is entertaining. You get hooked.